Asia scooped three Gold Lions at the Cannes Lions Outdoor Awards presentation which concluded just moments ago. 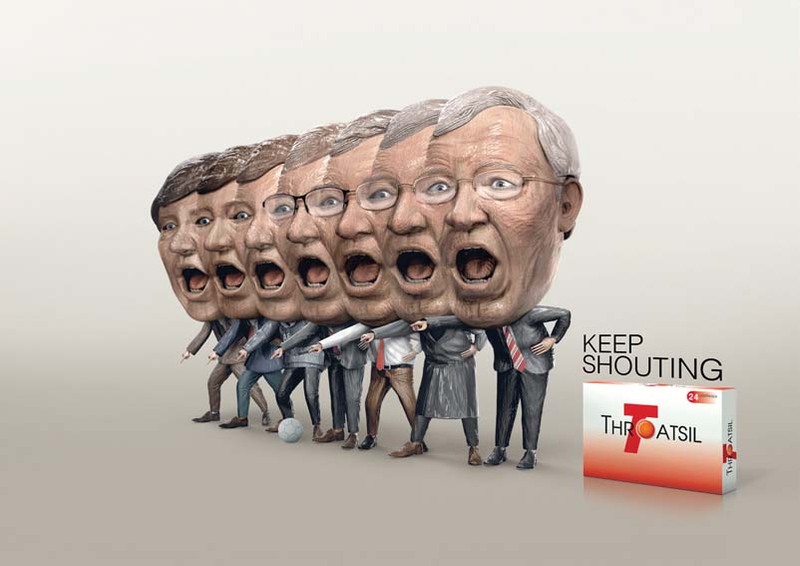 BBDO Bangkok, BBDO Malaysia and Y&R Shanghai all took home Gold. 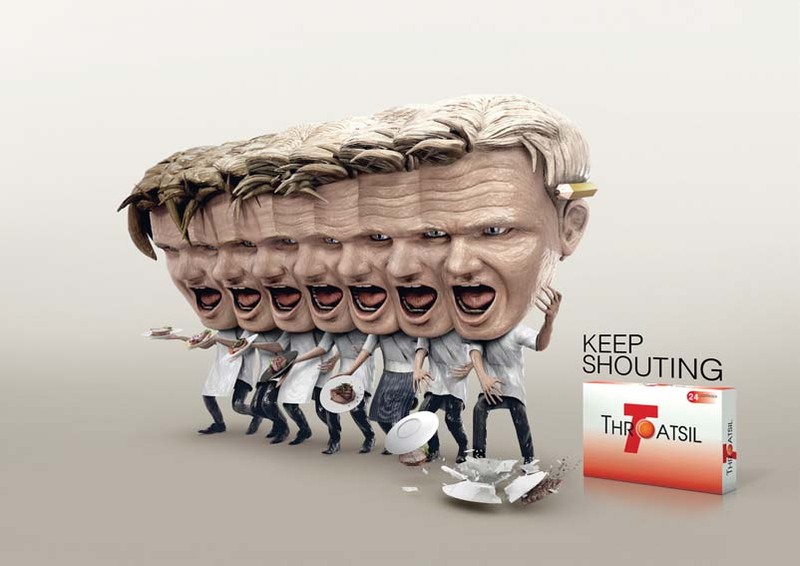 BBDO Bangkok won for a Throatsil campaign titled “Alex”, “Ramsay” and “Tyler”. 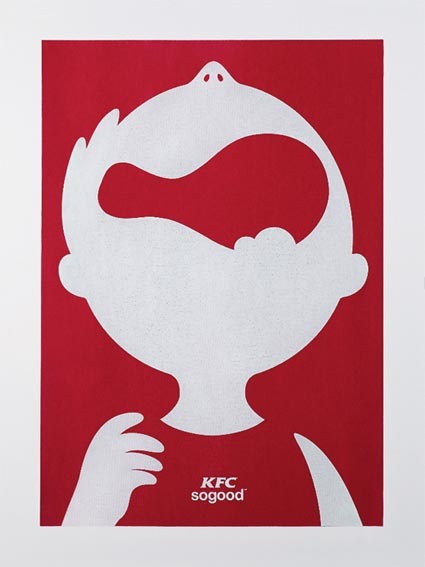 BBDO Malaysia won Gold for their KFC Brand posters “Drumstick”, “Burger” and “French Fries”. 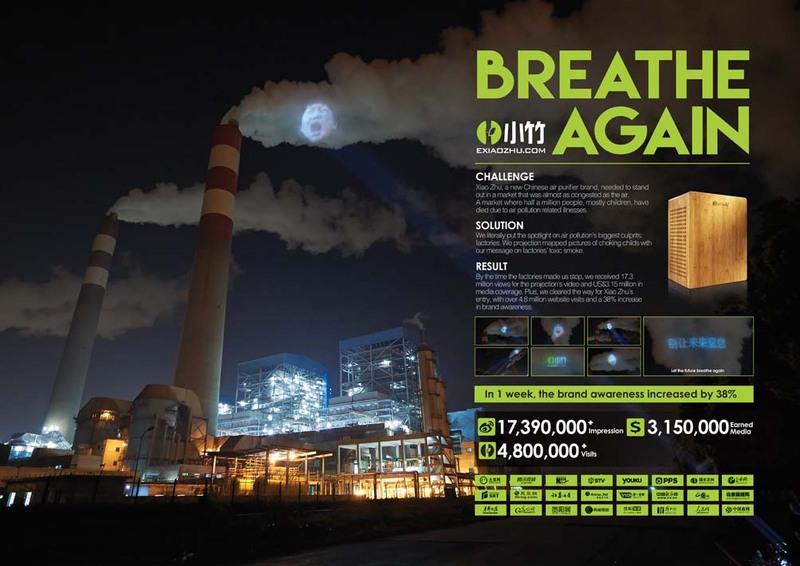 Y&R Shanghai won for Xiao Zhu Air Purifier “Breathe Again”. In addition to the 3 Gold Lions, Asian agencies also won 9 Silver Lions and 11 Bronze Lions. All up 131 Lions were awarded across the Outdoor competition. To round off a great night for BBDO Malaysia, their KFC campaign also picked up 2 Silver Lions in this category. 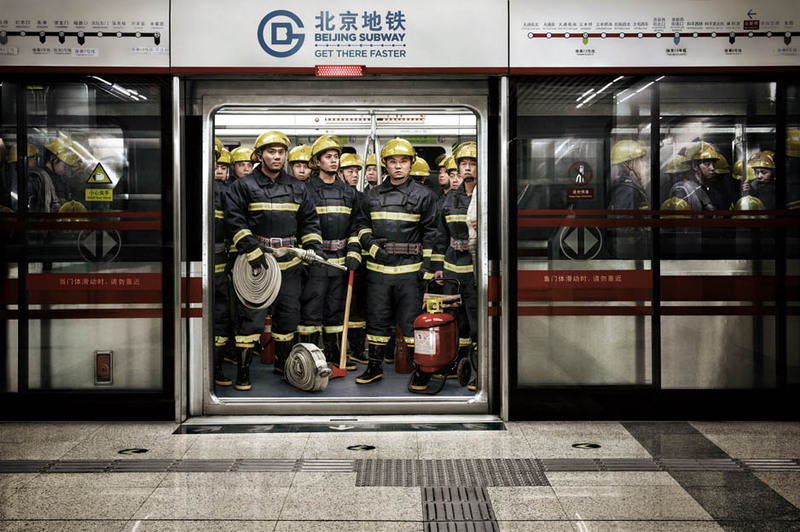 Other multiple Silver Lion winners were Grey China for Beijing Subway and McCann Mumbai for Essel Dish TV. Both won two Silvers. 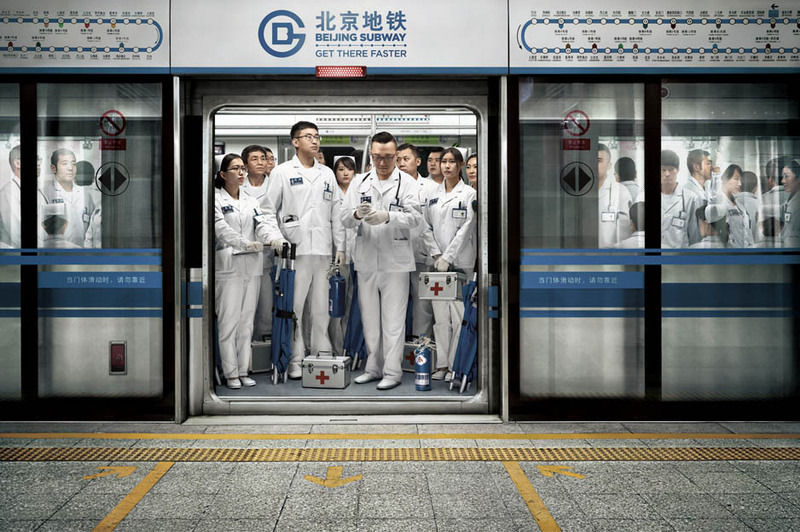 Single Silver Lion winners in Outdoor were BBDO Bangkok for Thai AirAsia; CreativeLand Asia Mumbai for Durex Condoms and Y&R Shanghai for Baidu. 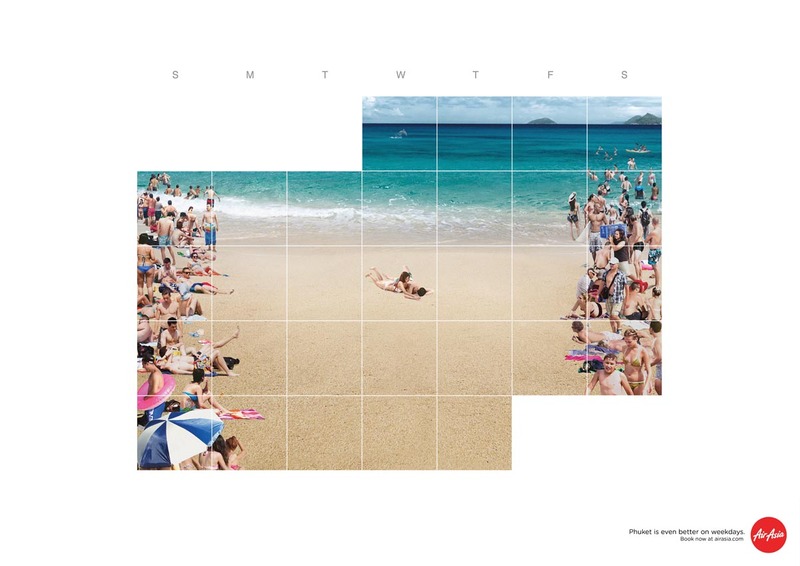 Bronze Lion winners were: NudeJEH Bangkok, Lowe Singapore, Grey Mumbai, Ogilvy Beijing, DDB Mudra Mumbai, O&M Malaysia, O&M Mumbai, O&M Bangkok, BBDO Pakistan, Innocean South Korea and I&S BBDO Tokyo. The Outdoor Grand Prix went to TBWA Media Arts Lab Los Angeles for their Apple iPhone World Gallery campaign. Jury President Juan Carlos Ortiz, President & CEO of DDB, said the campaign was a ground-breaking blend of innovation and simplicity-of-thought that made the jury’s choice easy. “We didn’t choose the Grand Prix – the Grand Prix chose us,” he said. Many of these are simply horrible. Cannes really lost its value.